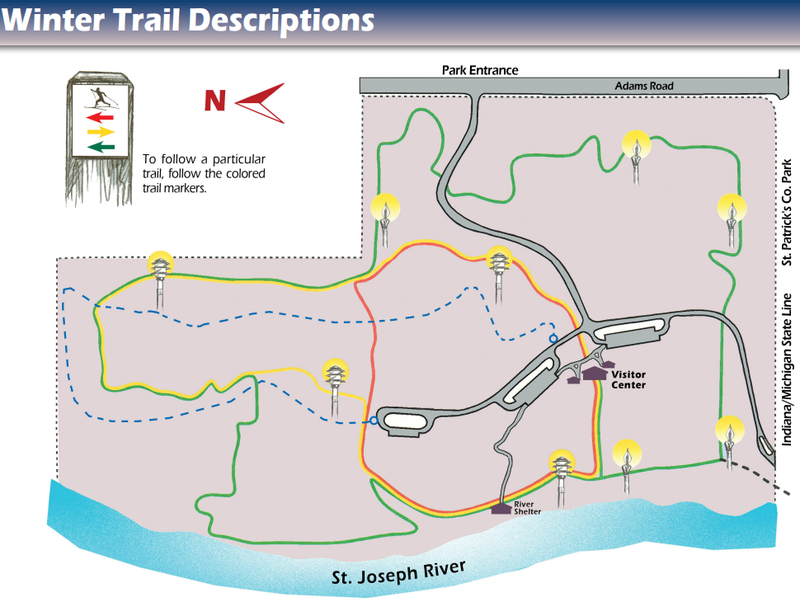 What's there: Madeline Bertrand features three miles of level to gently rolling trails through pine and oak forests and along a bluff overlooking the St. Joseph River. Skiers may also explore trails in adjacent St. Patrick's County Park in Indiana. Conditions permitting, lighted night skiing is available on Friday and Saturday nights until 9:30 pm. Rental equipment is available.